Hi, I am Yakup Korkmaz and this is my blog. 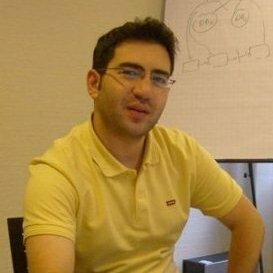 I am a computer engineer and living in Turkey. I am currently working on computer security and specialized in malware analysis, penetration tests, Microsoft systems security audit and somewhat web application tests. In the past, I took part in systems integration projects by designing and deploying virtualization systems. I am also carrying out my Master’s thesis on cloud computing at Bilkent University. Ben Yıldız Teknik Üniversitesi IEEE Öğrenci Kulübü 10.İLTEK Günleri Koordinatörüyüm. İletişim ve Bilişim Teknolojileri Günleri olarak adlandırdığımız İLTEK Günleri 10 Yaşında. Bu yıl işleyeceğimiz Beyaz Şapkalı Hackerlar ve Siber Güvenlik konusunda bize yardımcı olur musunuz?